Just a notch below the much famed BMW M3, the BMW F30 335i Sedan provides plenty of driving thrills in a decently priced package. The 3 Series Sedan in its 335i spec is powered by a 3.0-liter BMW TwinPower Turbo inline 6-cylinder engine developing 300 horsepower. Good enough to propel the car from 0-62mph (0-100km/h) in just 5.1 seconds. Impressive numbers for a medium size sedan. Plenty 3 Series owners tend to add a personal custom touch to their cars and most of them decide on a set of aftermarket wheels. For this 3 Series, the owner opted for a set of VMR Wheels, a stylish, sporty and lightweight solution, all at affordable pricing. 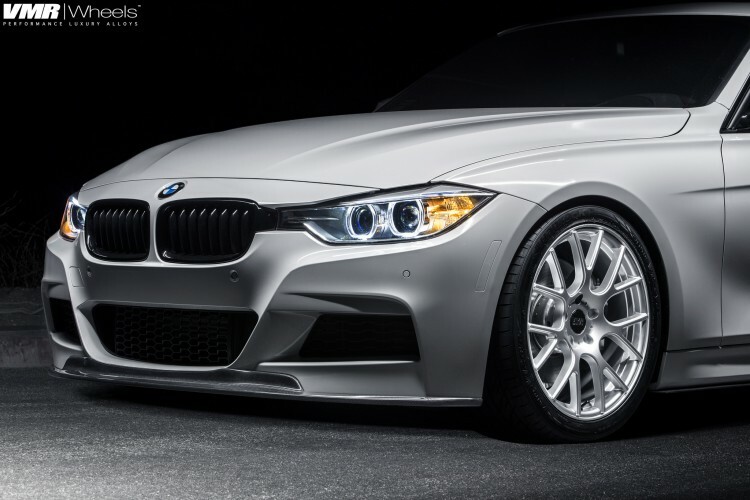 This Alpine White BMW F30 335i has received a set of VMR 810 wheels. Sized 19×8.5 in the front and 19×9.5 in the rear, they feature a Hyper Silver finish. 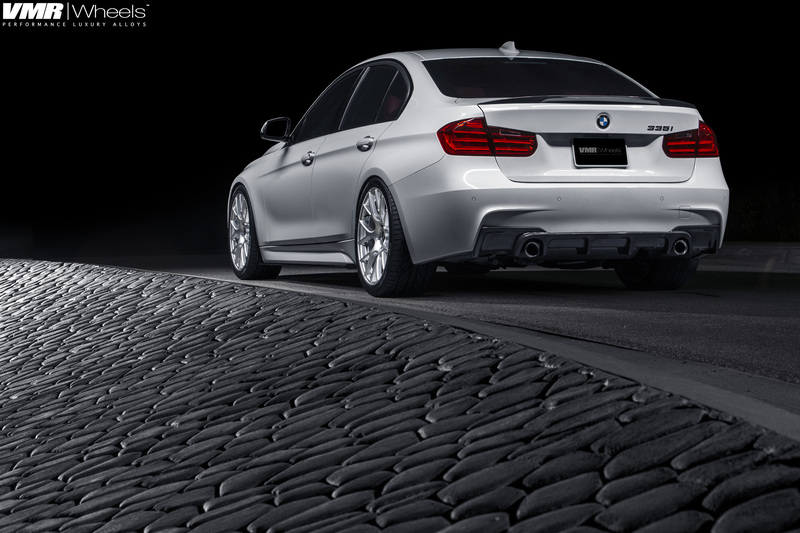 The result of this build is a classy look which further accentuates the body lines of the F30 3 Series.